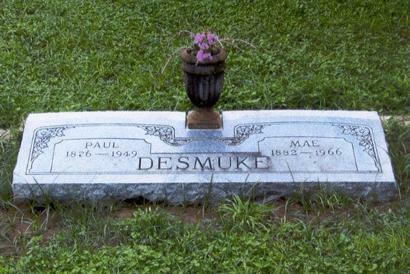 Born April 25, 1876 in the community of Amphion in Atascosa County, Desmuke came into the world normal in every way except one – he had no arms. With the help of a loving mother, he learned to compensate for his lack of upper appendages by using his feet. Before long, he could use his feet as adroitly as others used their hands.